Authorized users include staff, faculty and students of the UT Graduate School of Medicine (UTGSM), UT Medical Center (UTMC) staff. Other visitors to the library may use the resources while present in the library. 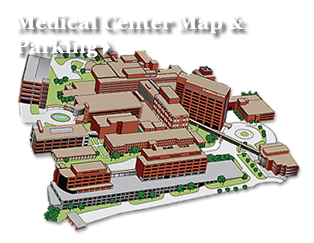 Most resources can be readily accessed within any building on the UT Medical Center campus. Off-campus access to most electronic resources is available to authorized users by logging into the library's proxy server. UTMC personnel will need to use your hospital-issued username and password when prompted for a log in. Registration is required for all other off-campus access users. Use is limited to educational, scholarly, and research purposes. Prohibited activities include commercial use, excessive or systematic downloading or copying (for example, copying/downloading/printing every article from an issue of a journal), electronic redistribution of content to an e-mail list, forwarding copies to unauthorized users. In accordance with the "fair use" provisions of the Copyright Statute, authorized users may make single copies of articles, print or electronic. Depending on the resource, additional restrictions may apply. Misuse of a resource or violation of a license agreement may result in the termination of access to the electronic resource for the all of the Preston Medical Library's authorized users. If you have questions about license agreements for specific resources, please contact Michael Lindsay. Depending on the resource, additional restrictions may apply.